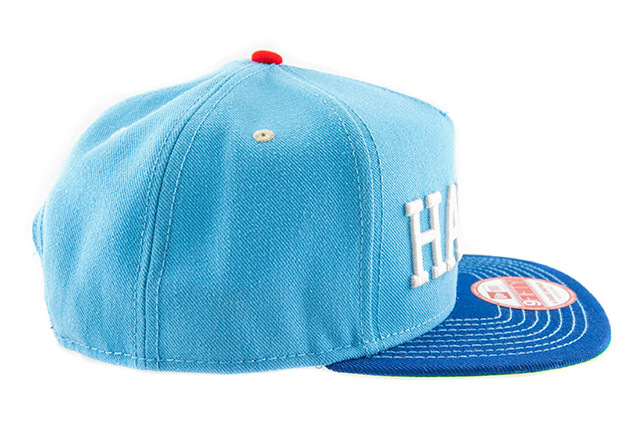 Releasing exclusively in-store and online this Saturday, April 2nd at 11am HST. Title/Position: Title? #SOTY. Position? Shop-Rat-Turned-Shop-Girl. What are you doing when you aren’t working? Homework. Reading. Sleeping. Running the line. 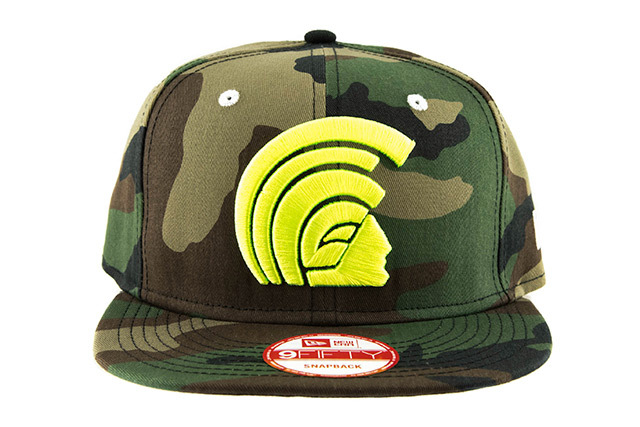 When we were given the opportunity to design a hat, I knew that I wanted to do something that represented my favorite…but my favorite what? My favorite place? My favorite memory? 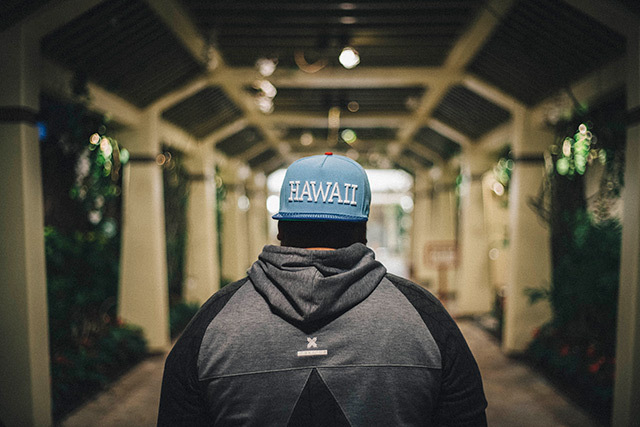 When I finally decided what I wanted to design a few of the team members joked around, “typical Big Island, Imi.” Typical, because I used the rainy weather as my inspiration for this hat. As true as that is, it’s almost cliche to say this Big Island girl loves the rain. The rain has always been my favorite weather. I grew up playing in the rain, always hoping that it would pour so that my driveway would flood and my brother and I could go outside and make cinder pies (because Puna doesn’t have dirt). Really bad storms would mean no school and who can complain about that?! I even remember a few years ago, a huge storm was hanging over my subdivision and it got so cold that it started to hail, something that never happens there! Another time, we were visiting my family here on Oʻahu and it poured so my brother, my cousin, my papa and I played in the rain gutter on the street in front of my papa’s house. The ironic thing about loving the rain, though, is that growing up I had the world’s biggest fear of thunder and lightning. I remember my brother and I playing in the rain and as soon as we heard the first crack of thunder we’d be screaming like little girls full sprinting back into the house. Even now, I still get a little jumpy. 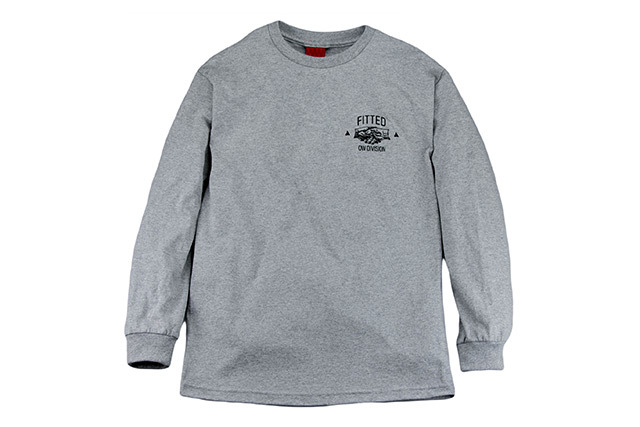 Rainy weather back home always meant sweaters, lots of blankets, and the guaranteed phone call from my grandma (R.I.P. Mama) asking if we had our flashlights and extra batteries just in case the electricity went out. My mom would make us saimin from George’s Meat Market on rainy nights because somehow the rain made her too lazy to cook (but again, who can complain?). When I got my drivers permit I was the DD after a family party, and you guessed it, it was pouring! Barely a new driver, driving in the dark while it was pouring, with a passenger who wasn’t any help. Not the most ideal way to get those behind-the-wheel hours. Thankfully we got home in one piece! To me, rain brings about a happy nostalgia, reminding me of great stories that I enjoy sharing. 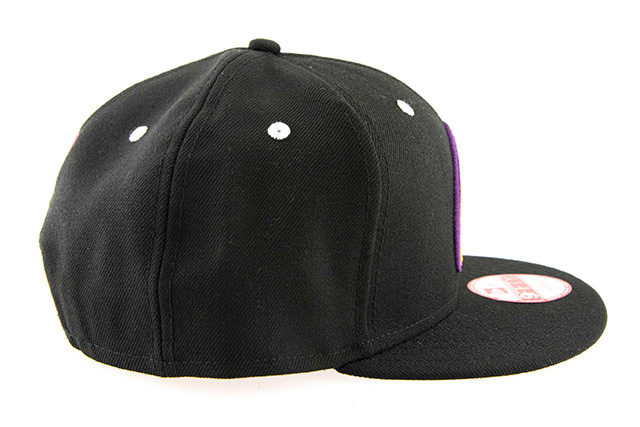 To materialize all of this into a hat was a welcome challenge. The gradient grayscale Mua is my representation of all forms of rain—whether it’s misty in the morning or coming down like crazy, rain in all its forms is a beautiful thing. 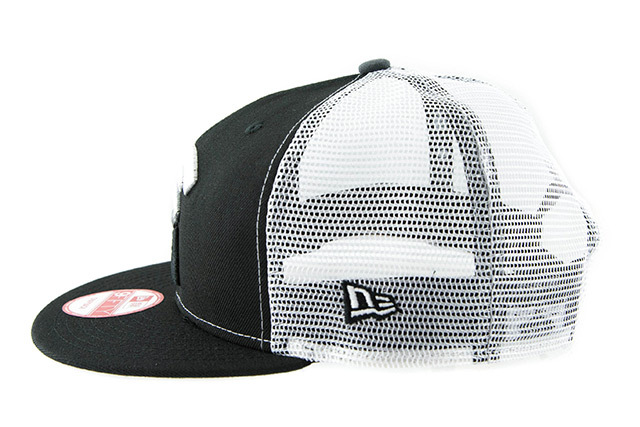 Grey is carried over to the top button, while black covers the front two panels and visor. 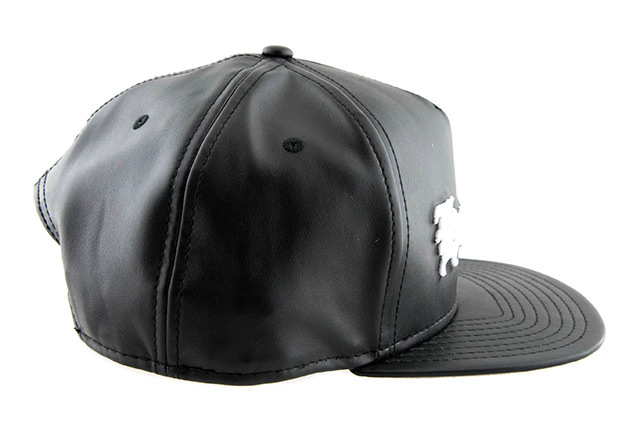 Clean black and white is used on the side New Era logo and back crest. 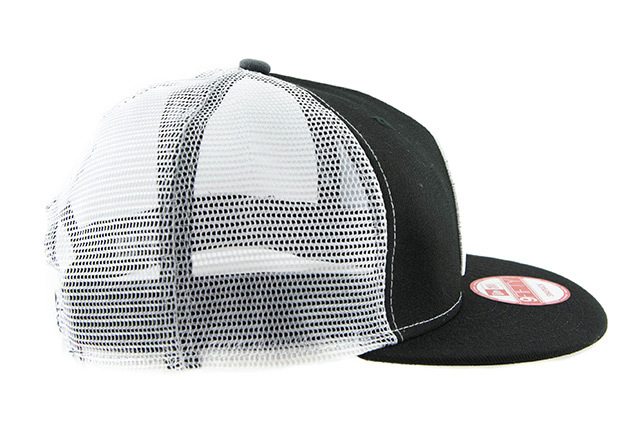 Put together with the white trucker mesh and snap enclosure, it’s a perfect hat to take with you on your rainy day adventures. 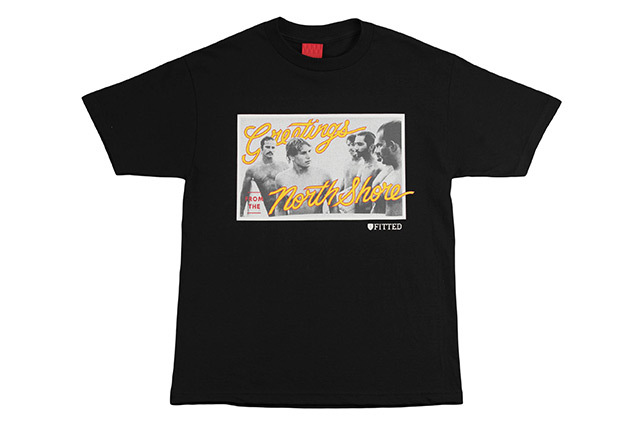 Releasing alongside the Ua Mua is our new Greetings design printed on a black tee. 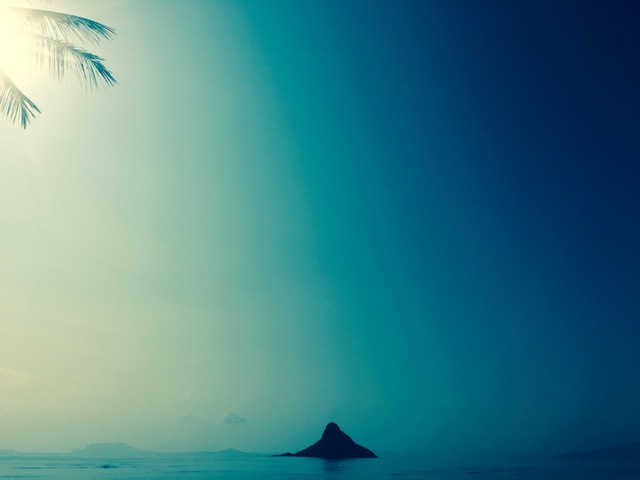 The design is based on the idyllic Hawaiian postcard, flipping it on its end. It features a scene from the movie “North Shore” as the postcard photo, with the words “Greetings from the North Shore” written on it. This is a tongue-in-cheek play on the “greeting” Rick receives from the local boys who regulate the breaks up north in the movie. 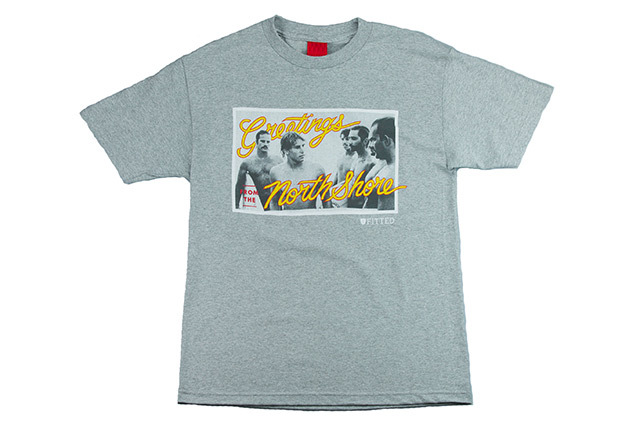 In real life, the pride and respect on the north shore is second to none, and it’s all about earning your keep. 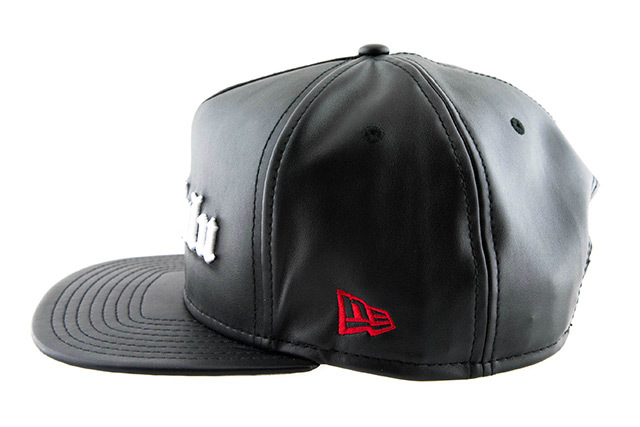 The back features a crown seal and “Bumbai you learn,” reminding everyone that both respect and knowledge come in due time. 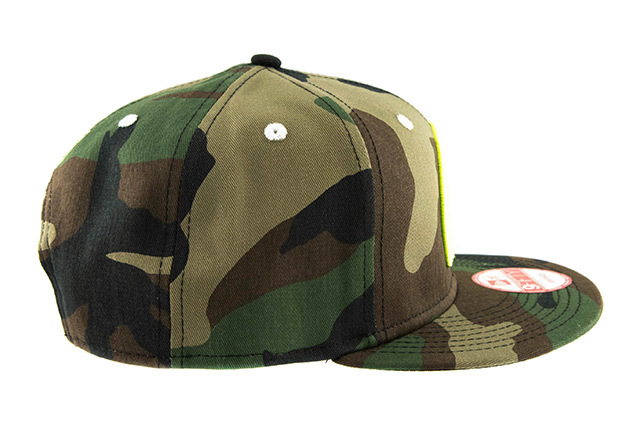 Releasing exclusively in-store and online this Tuesday, March 29th at 11am HST. 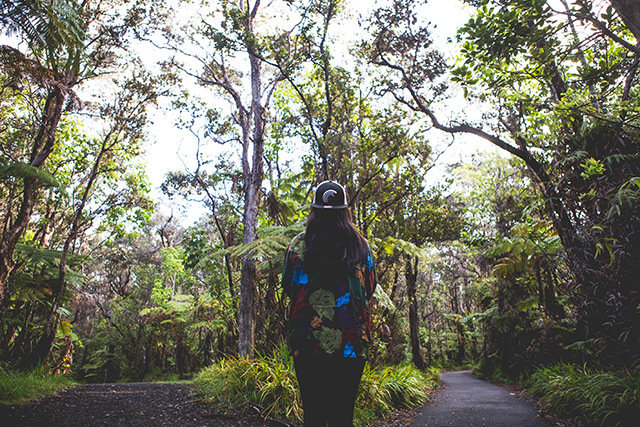 I was born and raised in Ewa Beach, Oʻahu. 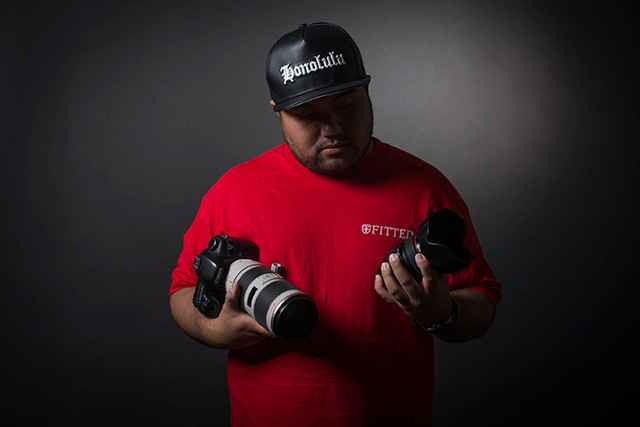 Being an Ewa Beach native, I take pride in my passion, culture and where I come from. Basically it has shaped me to be the man that I am today. For several generations now, my family has lived in Ewa Beach and has attended at James Campbell high school. I call this place my home, and as a proud alumni I’m glad I got to spend four amazing and unforgettable years there—even more so knowing that my family attended the same school as well. 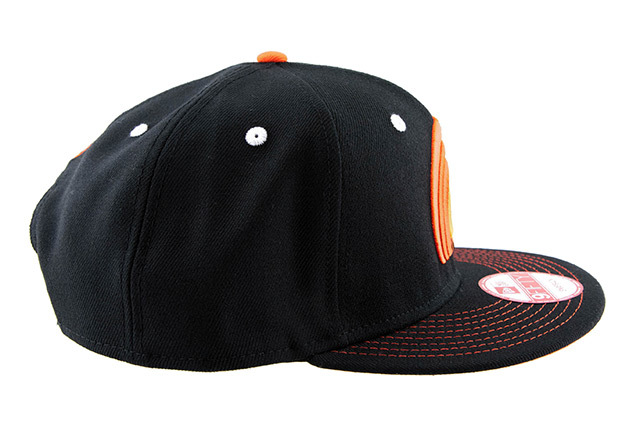 Bold black and orange are the iconic colors of our prestigious Saber, which provided the inspiration for my second hat. I know people have probably heard that Campbell High School (or Ewa Beach in general) was once known for being a rural, blighted area where multiple fights a day was a common occurrence and our education system was poor. But over the years, this school has been refined into one of the most driven schools on the island, accelerating in academics as well as sports—even making history last year by taking home the State Championship in softball and baseball. I’ve met so many great people, shared the most unforgettable memories with them, and it has been the starting point for my passion in skateboarding. With that being said, there’s nothing more I could ever be thankful for in my life. 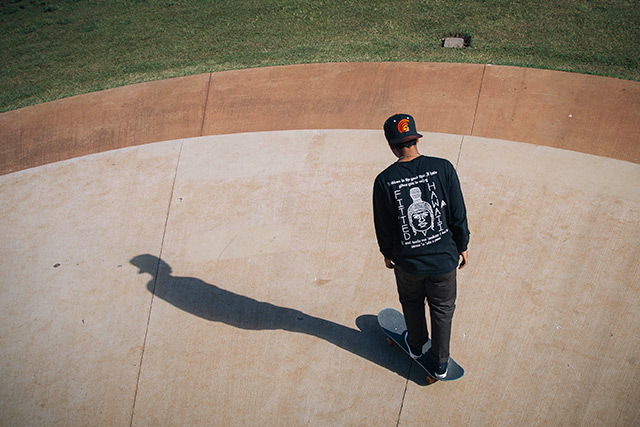 Since I was 12 years old I started skating on Campbell’s campus and street skating in Ewa Beach just about every day to pursue my love for skateboarding. My tenure at Campbell has been a long journey but it was all worth it in the end when I finally got to use my cap and gown this past year, receiving my diploma and looking up in the stands at Aloha Stadium seeing my ʻohana who was so proud of me, and who supported me throughout my highest and lowest points in my life. 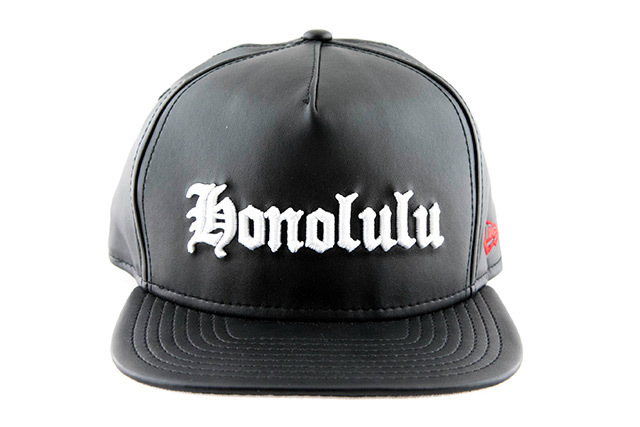 I named the hat “Hoʻohano” which means “to honor” in Hawaiian, honoring the years I spent at Campbell High School. 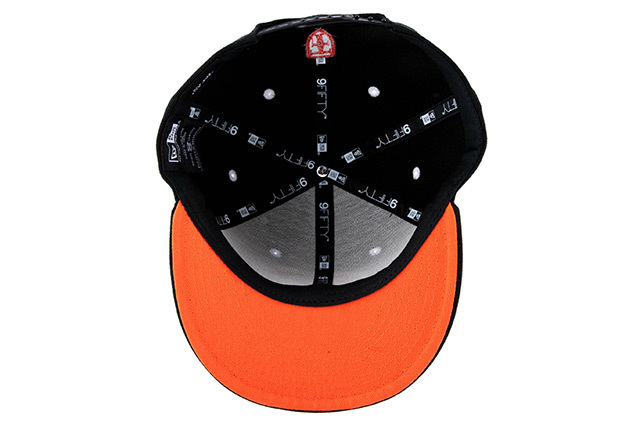 The base of the hat is black, including the snap enclosure, while the top visor stitching, undervisor, back crest, and top button are orange to represent the iconic school colors. 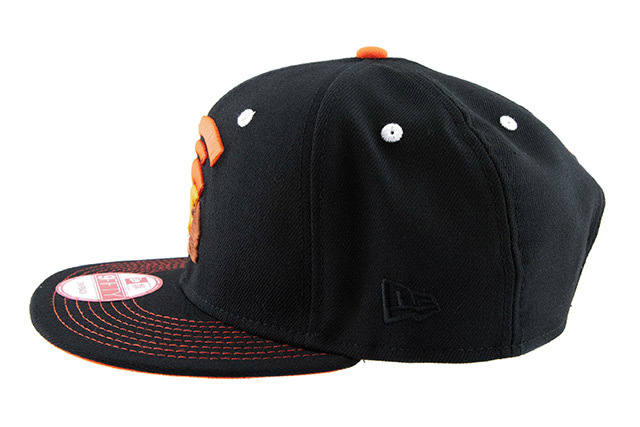 The front Mua is stitched in shades of orange along with gold and brown, while the eyelets are stitched in white and the New Era logo is stitched in tonal black. 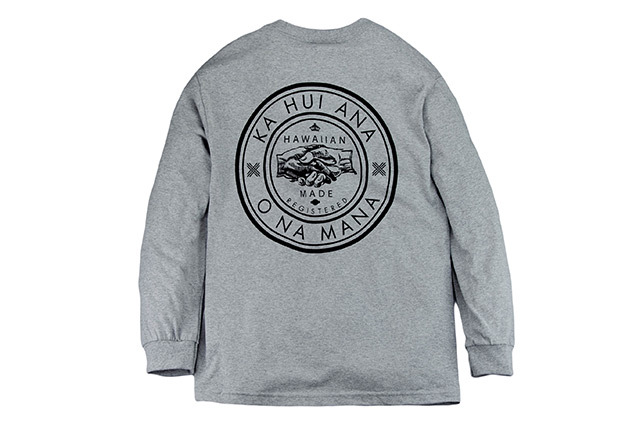 Along with the Hoʻohano Mua snapback, we’ll also be releasing our Hui design on a standard tee and long-sleeve tee, both in heather grey. 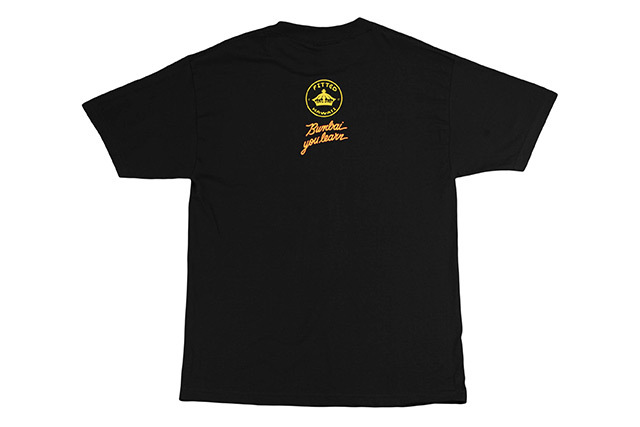 The back features a large seal containing a handshake graphic and the words “Hawaiian Made” and “Registered” in the middle. 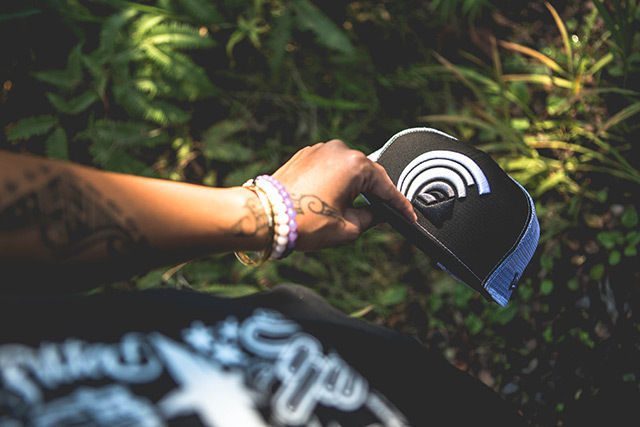 The outer ring features the phrase “Ka Hui Ana O Na Mana” which roughly translates to “The Coalition of Forces” in Hawaiian, playing off the central theme of our Hui collection and the notion that we become stronger when we come together. 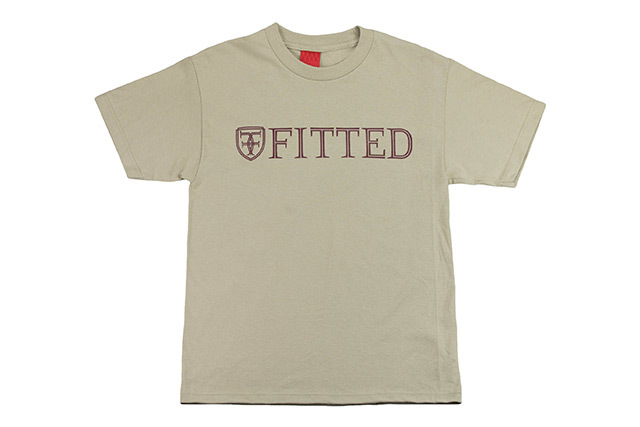 Releasing exclusively in-store and online this Saturday, March 26th at 11am HST. 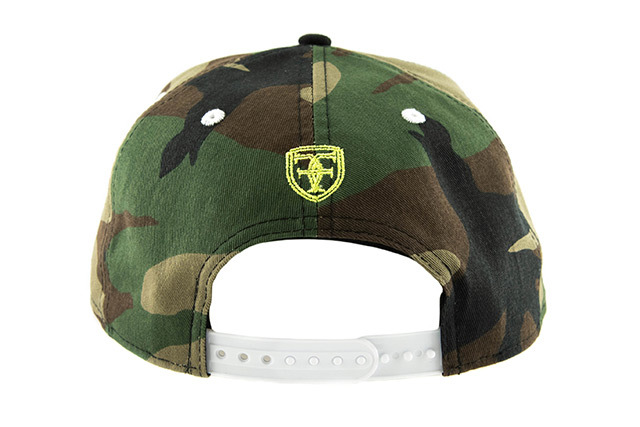 For my first hat, I have created a Mua snapback based on a colorway inspired by my family members and the passion that they share in hunting, paddling, and fishing. Within my family I have two uncles, Ala and Mana, who live on the West Side of Oʻahu and share a passion for hunting. It’s a good way for them to bond and spend some quality time together. They have been hunting wild boars for quite some years now and have inspired me to create a hat for them when they are out on their journey hunting in the valley. I used woodland camouflage on the entire crown and visor to cloak them within the forest, while the black undervisor helps eliminate distracting colors near their eyes when worn forward. 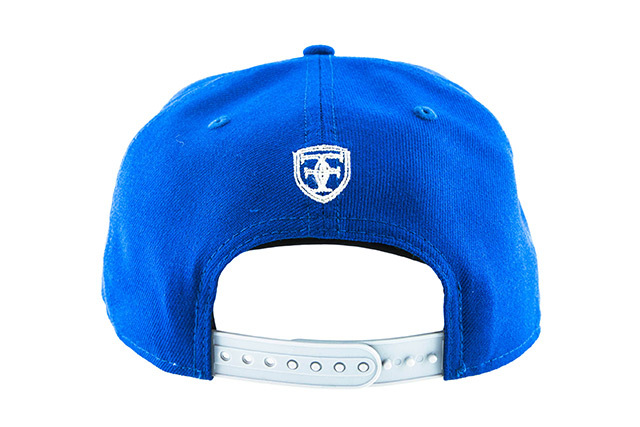 And as much as it is built for hunters on the land, I also created this hat for those who have a deep love for the ocean. 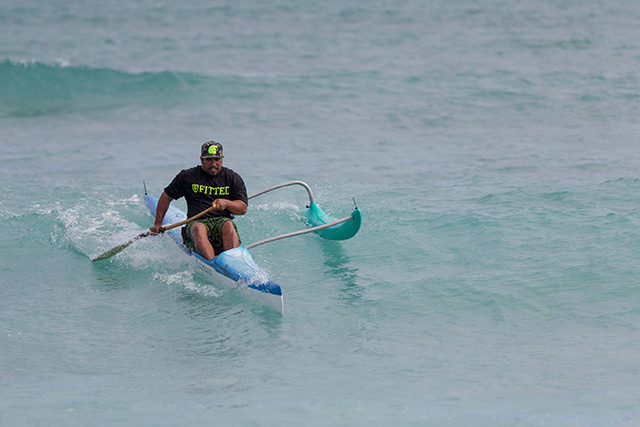 My ʻohana has been paddling for many years, not only as a recreational activity but even as a competitive sport all around the globe—like the Molokaʻi Channel Race from Molokaʻi to Oʻahu, which my father Jose has completed seven times and crossed five times. 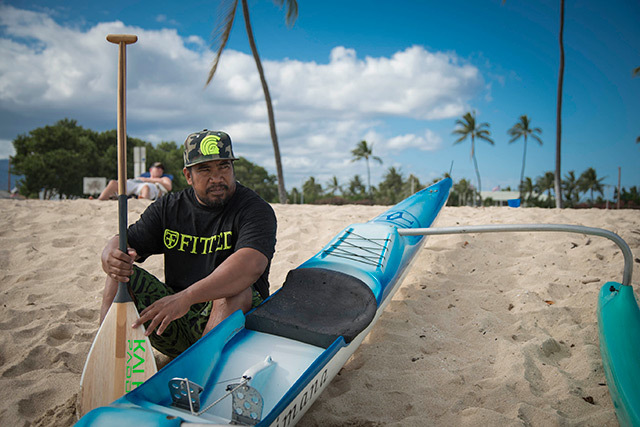 The hi-vis yellow stitching on the Mua logo and the back crest was strategically chosen for those in my ʻohana who paddle canoes and fish on their kayaks, because when they are out on the open water, they’ll be highly visible to anyone near and far. This provides a sense of security, knowing people are aware of their presence and can spot them in a time of need. 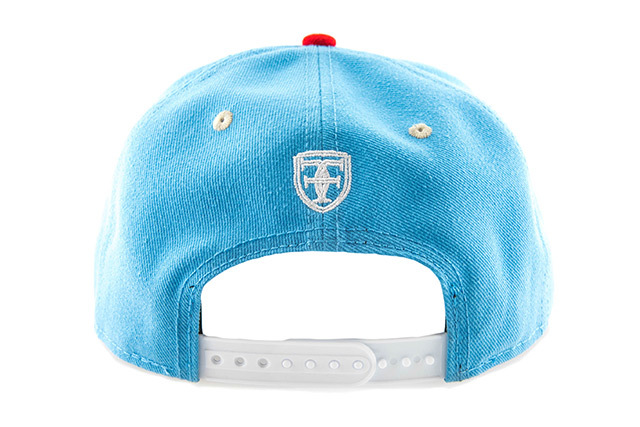 The white eyelets, New Era logo, and back snap enclosure are inspired by the clouds above both land and sea, watching over everything below. 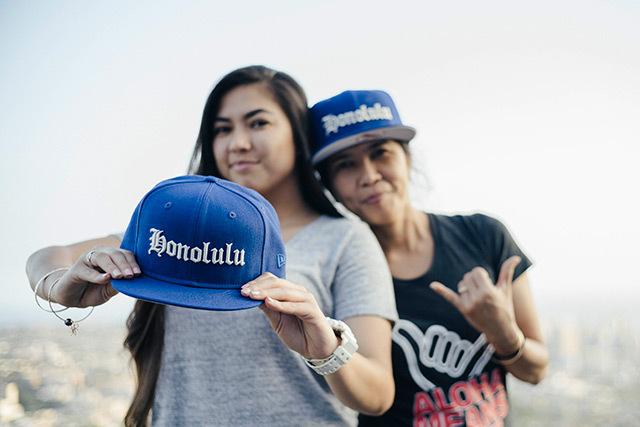 This hat was made with its specific print and colorway as an item that can help to ensure my ʻohana’s safety and safe return whether they are out hunting on land or paddling out in the ocean, which is why I gave this Mua the name “Hoʻomālama,” defined as the action of caring for, attending to, protecting, or being loyal to someone or something. 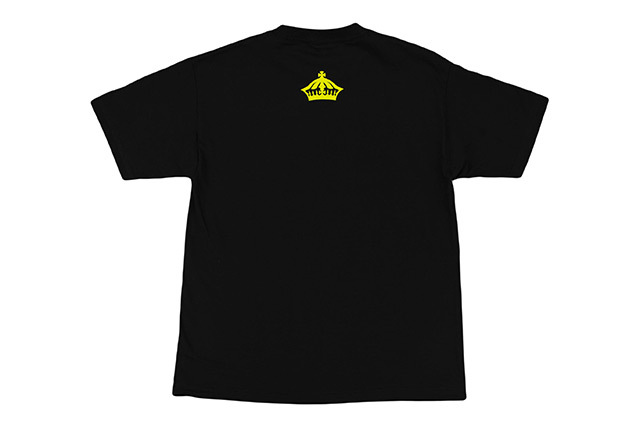 We’ll also be releasing a matching Who The Crown Fits 2 tee on the same day, featuring hi-vis yellow front and back designs printed on a black tee. 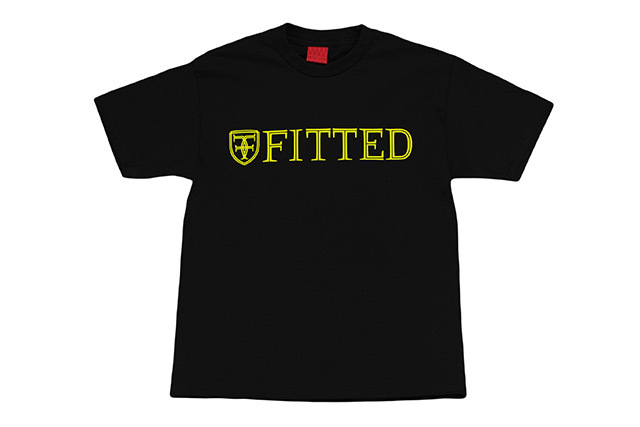 Releasing exclusively in-store and online this Tuesday, March 22nd at 11am HST. 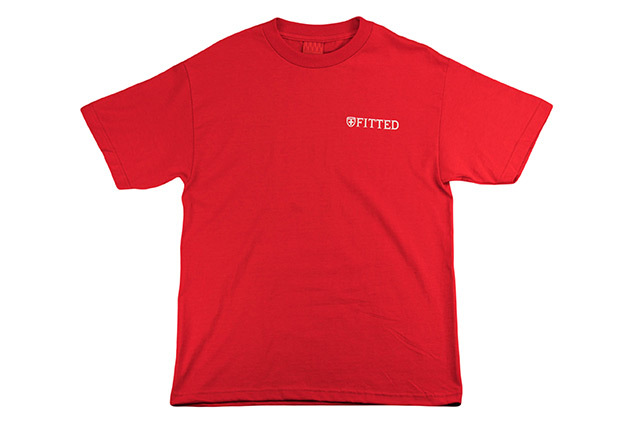 Please note that because of the A-Frame’s unique fit, there will be two sizes to choose from: “Small–Medium” should fit sizes 6 7/8–7 1/2 while “Medium–Large” should fit sizes 7 1/4–7 3/4. 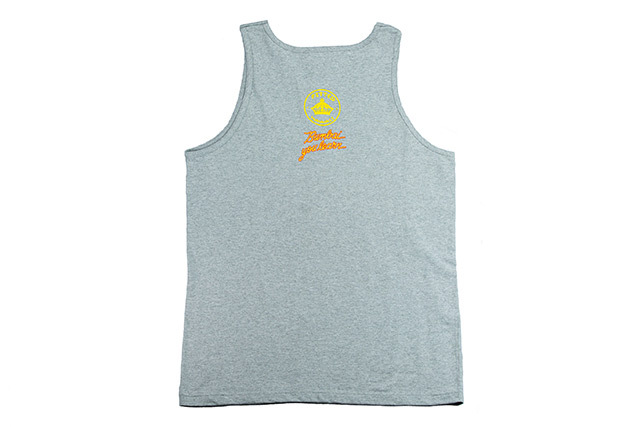 This ‘Āina is dedicated to the 10 years my family and I lived on the island of Guam. My parents are from the Philippines—the Pearl of the Orient. When I was one, my parents and I moved to Guam because my father was offered a job as an engineer at a local construction company there. My father moved to Guam before we did; then my mom and I flew after and became residents there. In ’92 and ’94, my two younger brothers were born. 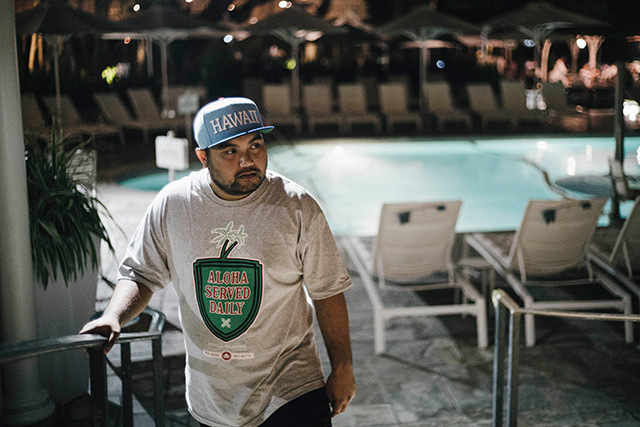 I have so many childhood memories in Guam that I can’t let go of—those times were special to me. 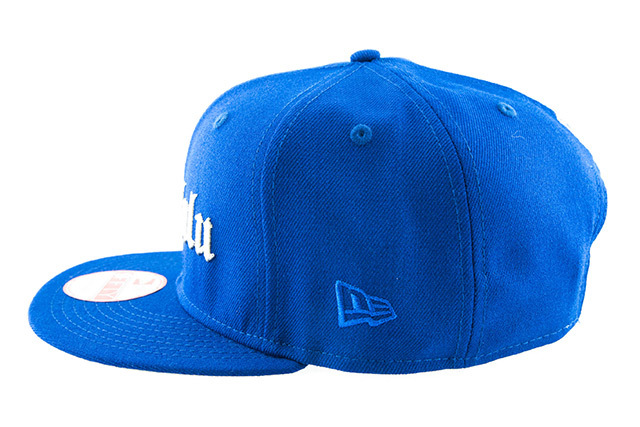 I dedicate this hat to everyone who visited, lived, or was born in Guam. I also dedicate this to my friends and family that still live there and cherish the island of Guam. 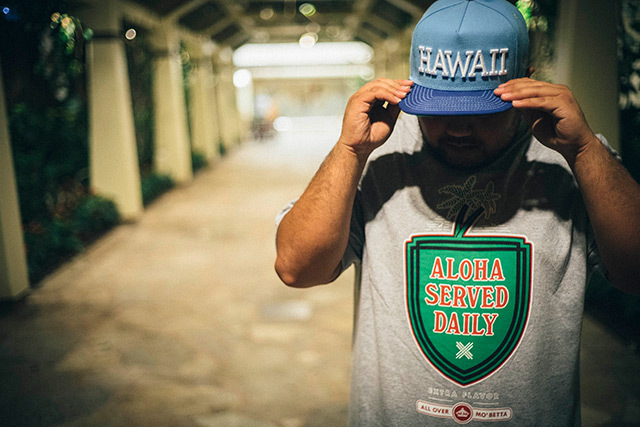 Accompanying the Hafa Adai ʻĀina A-Frame snapback, we will be releasing a brand new tee for this season dubbed the Extra Flavor tee, developed from the idea of “breaking bread” with your crew or hui. 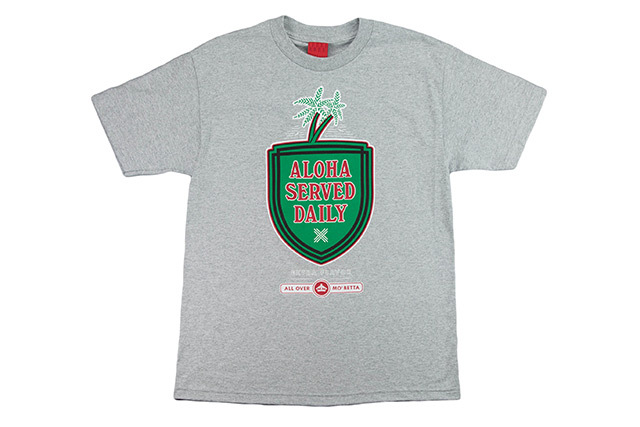 The front features the words “Aloha Served Daily” within our crest outline along with two coconut trees up top, as a nod to the famous Molokaʻi bread bags from Kanemitsu Bakery, down to their signature color palette. 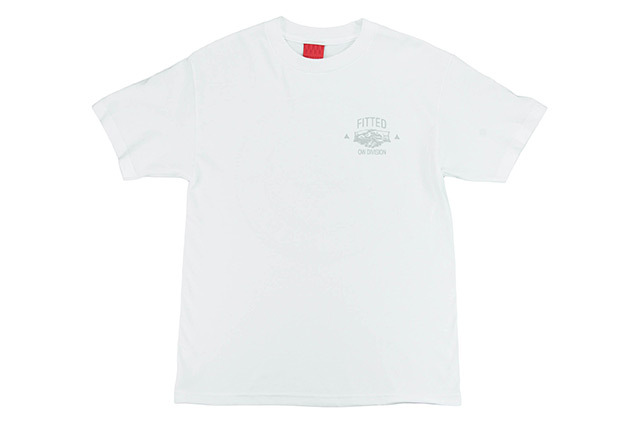 Below that, the words “Extra Flavor” and “All Over, Mo’ Betta” are displayed to continue the concept. 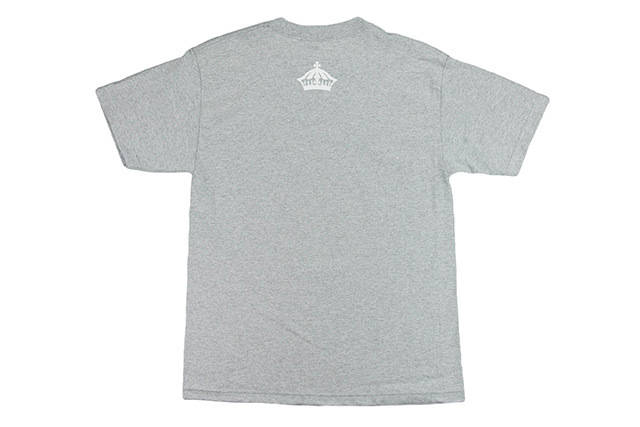 A white crown is printed on the upper back of this heather grey tee. 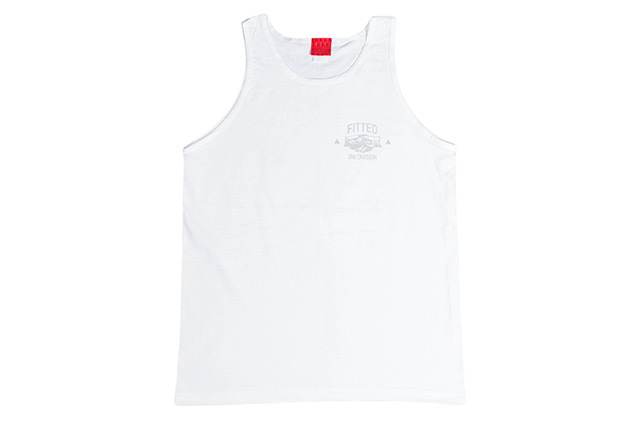 Releasing exclusively in-store and online this Saturday, March 19th at 11am HST. Some of you may know that I am a photographer. It has been my passion for almost seven years and during that time, I have done both digital and darkroom photography. I started out using my brother’s Canon Rebel XS. I had no idea how to use it so I watched YouTube videos on how to use DSLRs. I started out taking pictures of landscapes, which was simple to do. Over time, I began taking up portraiture, covering first birthdays, weddings, and graduation parties. 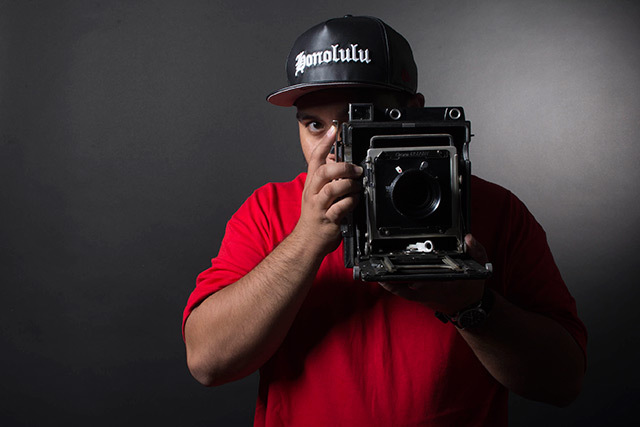 When I started attending the University of Hawaiʻi at Mānoa, I began studying darkroom (or analog) photography because it intrigued me. My passion for darkroom photography has taught me to be patient in creating a picture—from shooting a 35mm film camera, developing the film, and creating the print in the darkroom. When my first print started to dry and I finally started seeing the details, I began to appreciate the time I had put in the darkroom. Since then I have put in countless hours in the darkroom—from 9 a.m. to almost 5 a.m. the next day. Then, I repeat my routine. I have also used many types of cameras, which range from digital to 35mm film, medium- and large-format film. 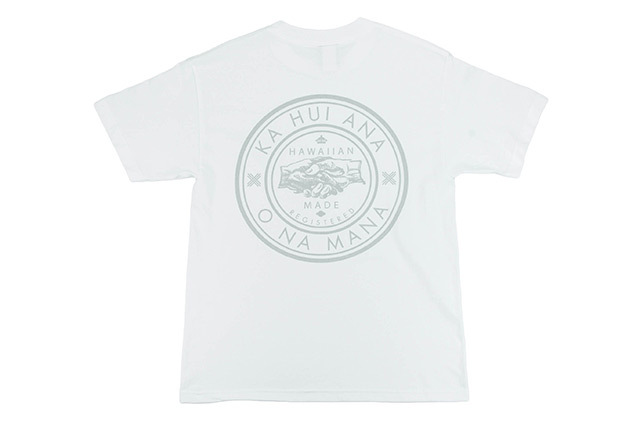 This Kulāiwi is inspired by the Canon camera lenses, with the name “Kiʻi” meaning “image or photograph” in Hawaiian. The black base is the signature color of Canon’s luxury lenses called the L-glass. It also represents the absence of light in the darkroom. 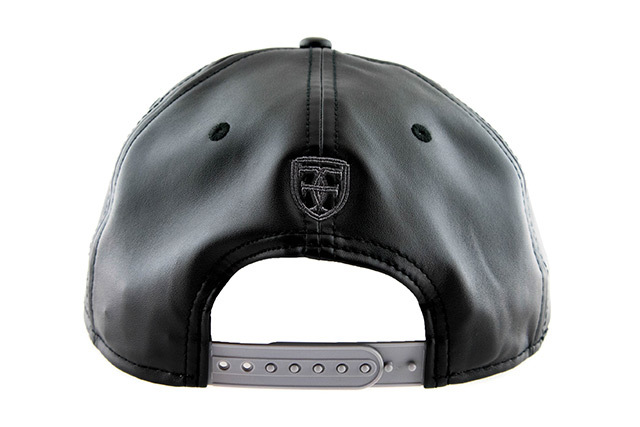 The leather all over represents the luxurious style of the lenses. 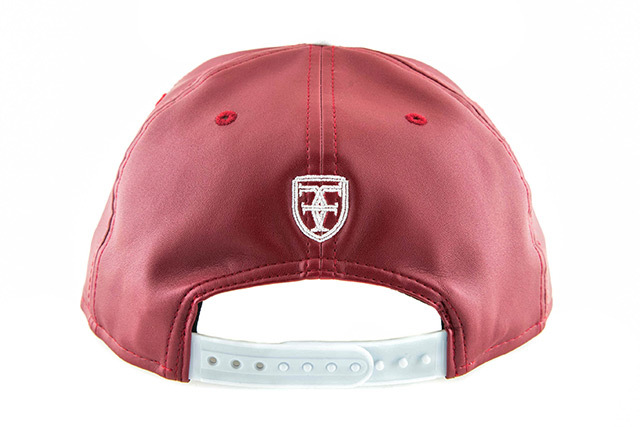 It also boasts a red New Era flag which symbolizes the signature red ring on the high-end lenses, as well as the red light you see in the darkroom. 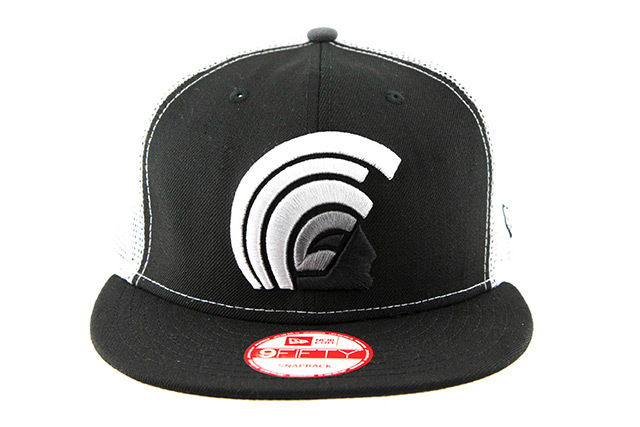 The white “Honolulu” logo symbolizes the white Canon logo on each of their lenses. 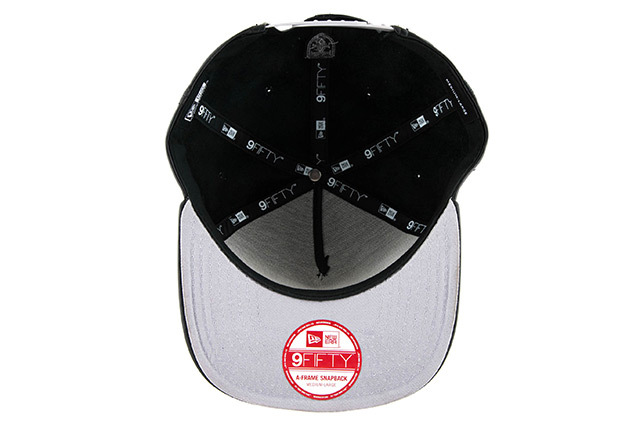 The undervisor, back crest, and snap enclosure are different shades of grey, characterizing the various grey tones of black-and-white photography. 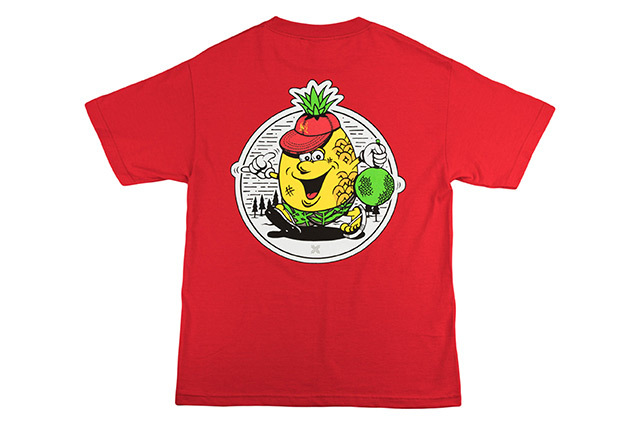 To coincide with the above release, we’ll also be releasing our Pineapple design on a red tee. 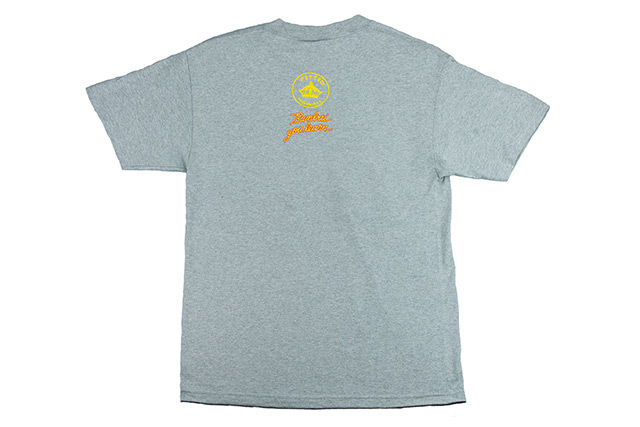 The back features a play on the classic Dole pineapple man, with historical ties to the island of Lānaʻi, the Pineapple Isle. The ʻulu he’s holding is a reference to Kauluāʻau, the prince who was banished to Lānaʻi as a consequence for his pranks of uprooting ʻulu trees on Maui. In the background are the island’s famous pine trees. To symbolize the historical turnover of the Lānaʻi’s owners and its rough-and-tumble past, the pineapple’s face is shown with some slight abrasions. 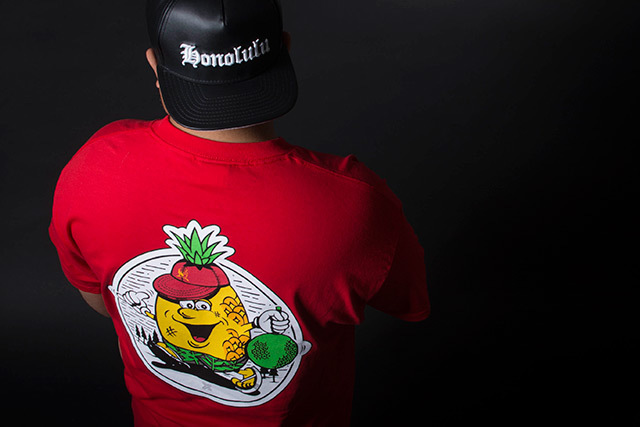 To further personify the pineapple, he’s been decked out in our NoRep Alakaʻi Boardshort and original Red/Gold Kamehameha 59FIFTY. 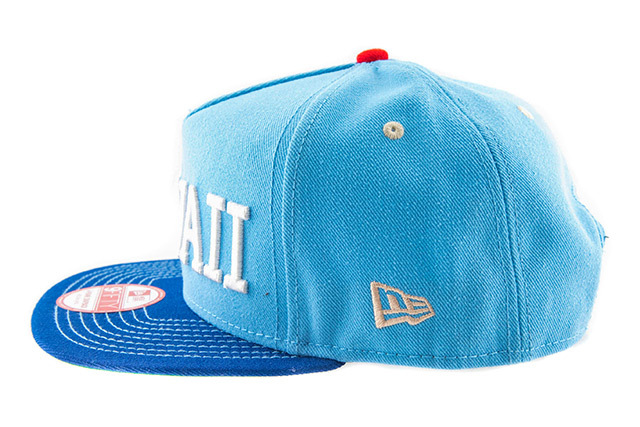 Releasing exclusively in-store and online this Tuesday, March 15th at 11am HST. Favorite place in Hawaii? Two places: Waimea Bay, Oʻahu. Kapaʻa, Kauaʻi. Circa 1992. I don’t know much of the story, but from what I heard…this is how my parents met. If you haven’t met my mom, she’s a cute tiny Filipino lady who is another strict parent that just wants the best for her daughter. My mom has been on my case every second of every day. She would text me and call me every 5 minutes during high school, after school events, and even in college just to check up on me and see where I was. I’ve always wondered why she was on my case and wouldn’t leave me alone, but after a while it didn’t bother me. I just thought that she never wanted me to grow up, but I’ve grown to understand that she always has good intentions for me. She will always have my back, will always be around for me when times get tough, and will always be around to have a good laugh with. She has shaped me to be the woman I am today and without her, I don’t know how my life would have turned out. Thanks mom, this one is for you! nvs. Native land, homeland; native. My own homeland. 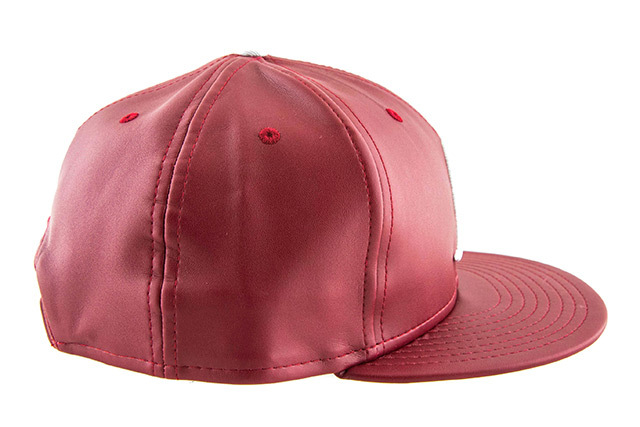 I named this hat “Papakū” because my mom is my foundation. 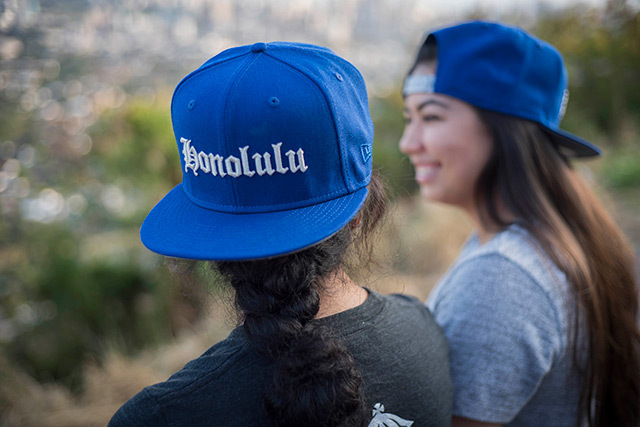 I choose the Kulāiwi design because it’s one of my favorite designs, but to relate to my mom even better…Honolulu, Hawaii is her new home and mines forever. 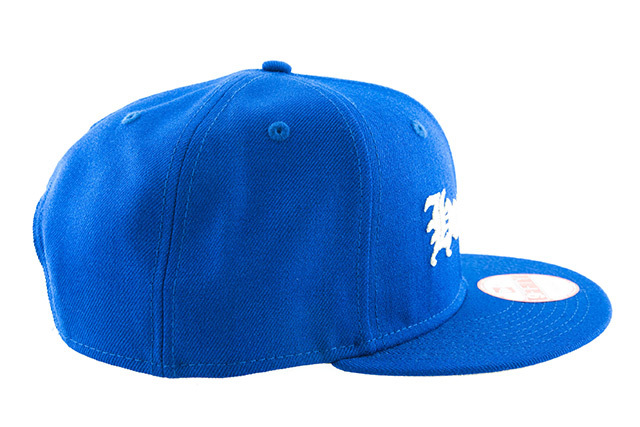 Royal blue is our favorite color and is used on the entire crown. 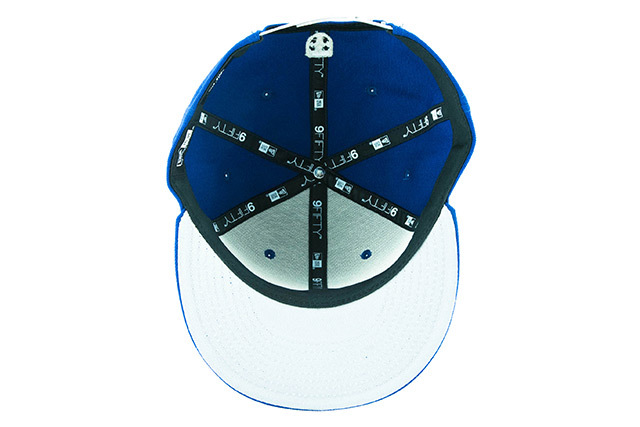 The front logo and back crest are stitched in metallic silver, while the undervisor and snap enclosure are finished in light grey, with both colors reminding me that there is always a silver lining to everything. 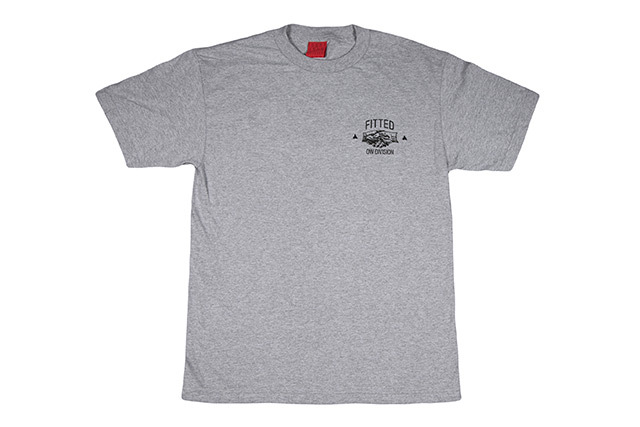 Along with the Papakū Kulāiwi snapback, we’ll also be releasing our new Hui design, printed in grey on a white tee. 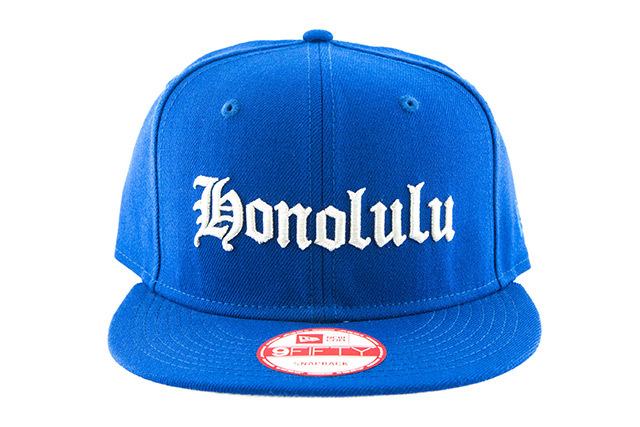 The back features a large seal containing a handshake graphic and the words “Hawaiian Made” and “Registered” in the middle. 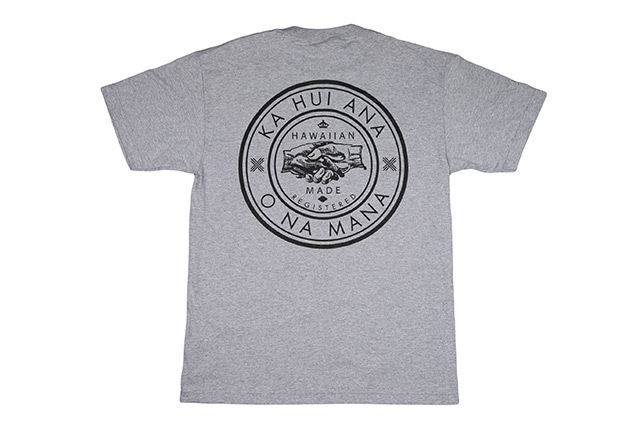 The outer ring features the phrase “Ka Hui Ana O Na Mana” which roughly translates to “The Coalition of Forces” in Hawaiian, playing off the central theme of our Hui collection and the notion that we become stronger when we come together. 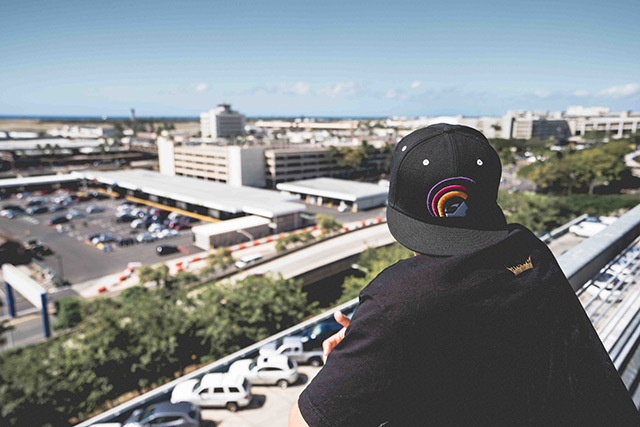 Releasing exclusively in-store and online this Saturday, March 12th at 11am HST. 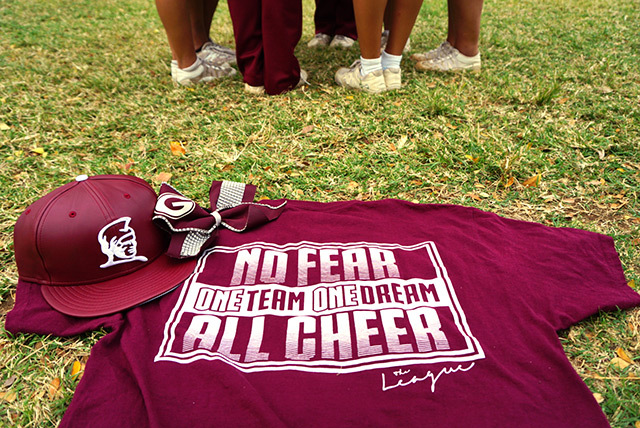 Dedicated to my 2015 Farrington High School Junior Varsity Cheerleading Competition Squad. 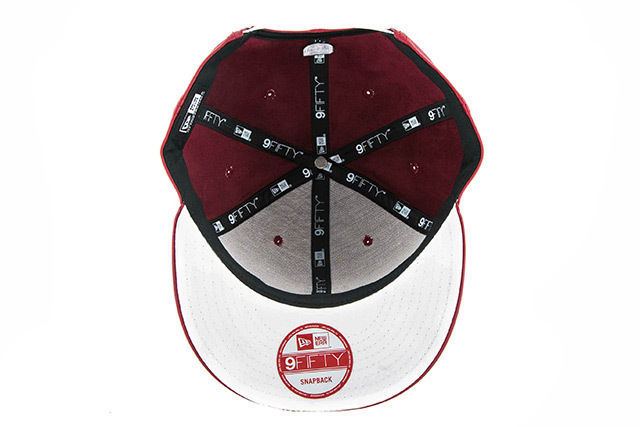 As soon as I heard that FITTED was allowing us to design hats of our own, I was stoked and automatically thought of Farrington High School, where I graduated from. 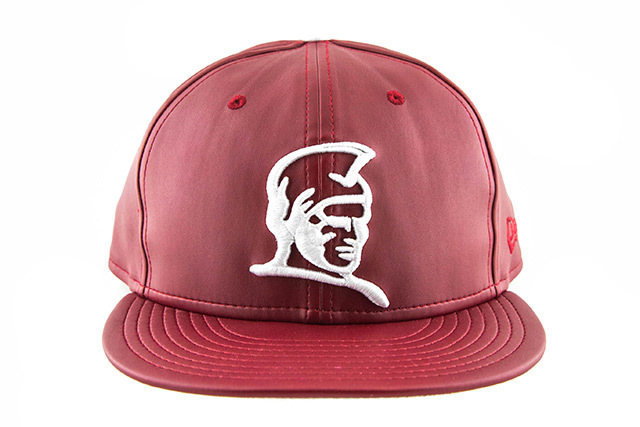 I knew that I had to make a maroon and white hat to represent my old high school and my current cheerleaders. 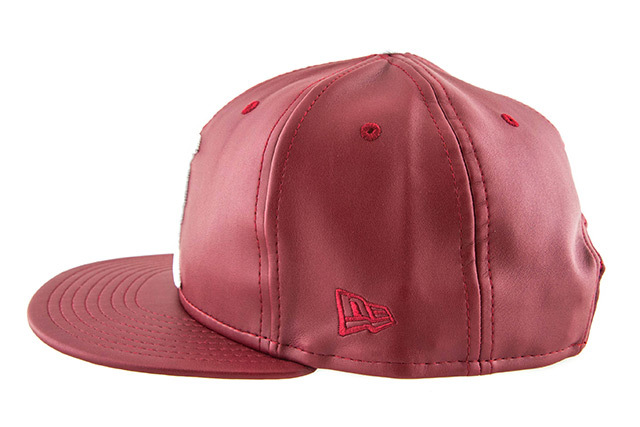 Maroon faux leather with a white Kamehameha, undervisor, button, and snap is what I went for. 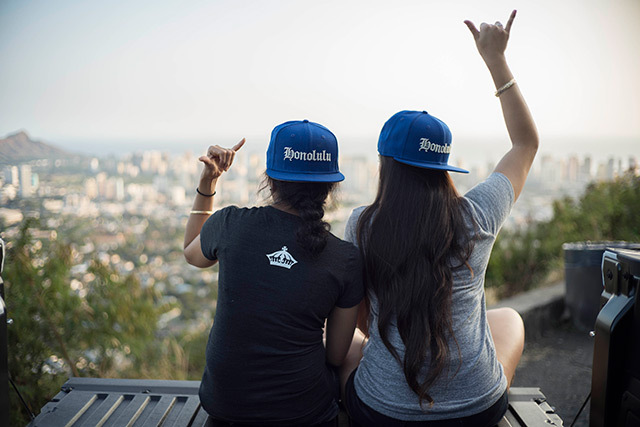 It is named Ke Kiaʻāina Kamehameha because Ke Kiaʻāina means The Governor in Hawaiian and the Governor is our school mascot. I started cheerleading during my sophomore year in high school, eventually becoming the captain of the Varsity team as a senior. After graduating high school, I worked as an assistant coach for the JV team for a couple of years with my old head coach, Brandy. Today, I am one of the head coaches of the JV team, with the help of Kara (our other head coach), Aljay, Jonah, and Dylan, all of whom are former Farrington High School cheerleaders. We also have a new coach from the mainland named Holly who helps out with our team as well. Although I’ve been around cheerleading for a while and should know what I’m doing, I can never do it all on my own—I will always have the other coaches to count on for help and vice versa. High School cheerleading is broken down into two parts: Sideline Cheerleading and Competitive Cheerleading. Competitive High School Cheerleading happens every year for a few months. Cheerleaders work hard for a 2-minute-and-30-second routine that consists of many aspects to represent how skilled and creative they are. There are only four competitions per year: Preseason, Easterns/Westerns, OIA, and State Competitions. That is, if you are lucky to make it through each one. This past year, we as coaches had to choose cheerleaders from our team with skills that could prove valuable in competition. We chose nine junior varsity cheerleaders consisting of six girls and three boys as our squad for the season. As competition season went by, we saw these girls and boys work incredibly hard for what they wanted. They persisted and made history for the Farrington JV cheer team twice—by placing first during our Easterns competition and placing second at our OIA competition, thus earning them a spot to perform as an exhibition performance at the State Competition. The nine competitors did an amazing job this past season, so I thought it would be great to give them recognition in some way. Although some may think they’re just JV cheerleaders and that the Varsity level is harder, they are still competitive athletes and they represented our team and Farrington High School in the greatest way possible. I’d like to thank the cheerleaders and all of the other coaches for all the hard work they put into another amazing season. Now onto the next season…Good luck Govs!! 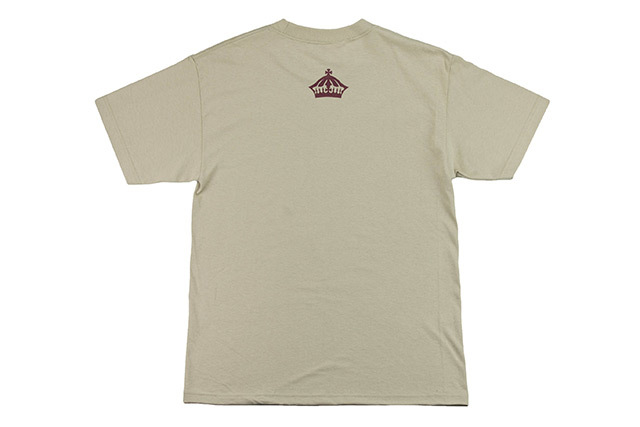 We’ll also be releasing a new colorway of our Who The Crown Fits 2 tee, printed in maroon on a sand colored tee. 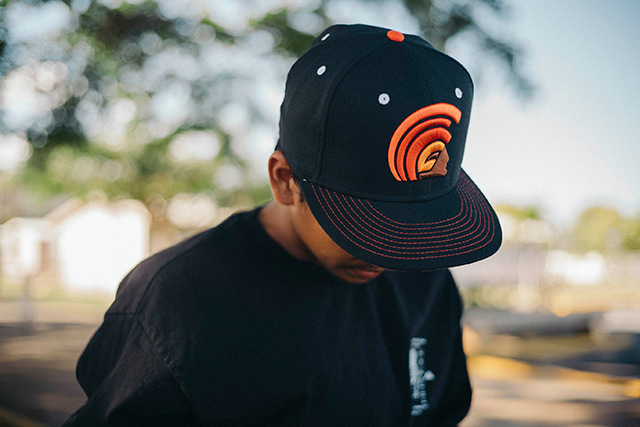 The perfect compliment to the Ke Kiaʻāina Kamehameha snapback. 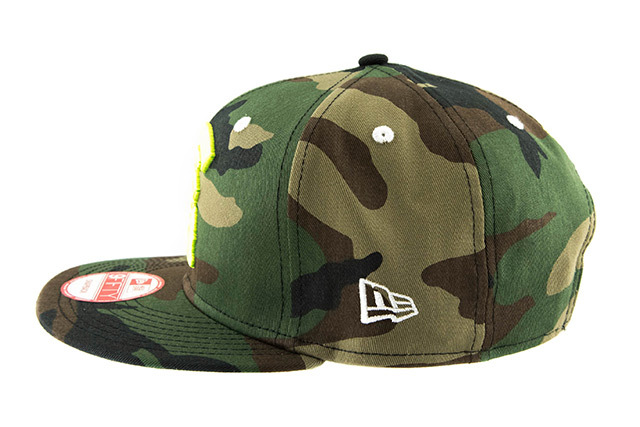 Releasing exclusively in-store and online this Tuesday, March 8th at 11am HST. Favorite place in Hawaii? Everywhere. There’s no place like home. One thing you can’t live without? My camera. What are you doing when you aren’t working? Traveling, watching movies, drinking. 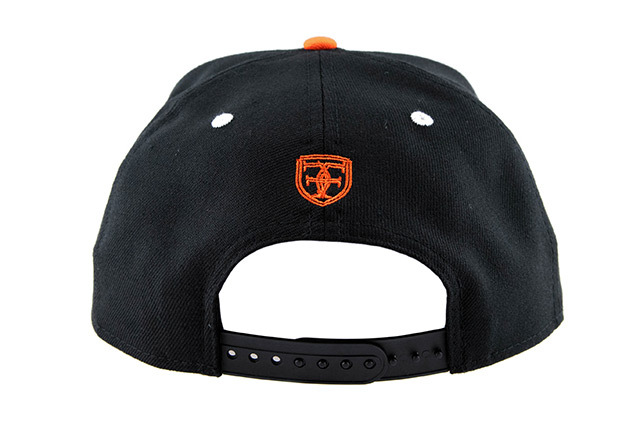 Favorite FITTED hat? Anything Kamehameha. First of all, mahalo to those of you that read my first story! 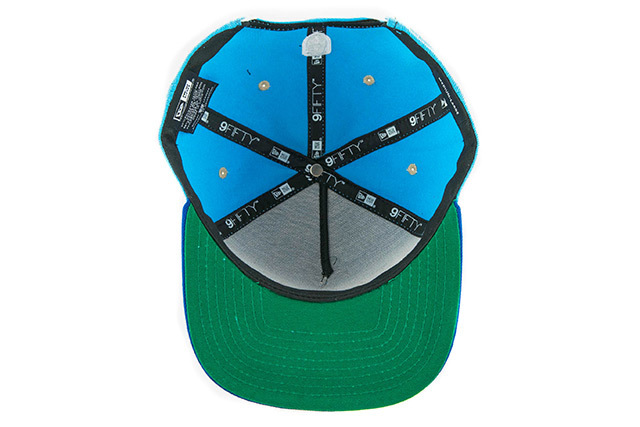 I talked about my past with FITTED, how it shaped me into who I am today, and how it was the inspiration behind the conception of my first hat. 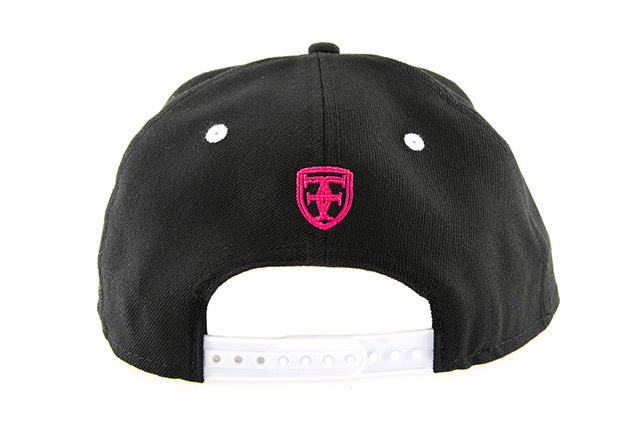 This next hat is geared toward the future, and the adventures in store. In the past year, I have been extremely fortunate to land a job as a flight attendant for Hawaiian Airlines. I had never thought about becoming a flight attendant before, but if it wasn’t for JG telling me to apply the day that the hiring process started, my life would have been very different. This job has given me an opportunity like no other—the chance to see the world, and as a photographer, it gives me a chance to capture it in my own perspective. Now I know what you’re thinking, Kamehameha graduate = Hawaiian Airlines employee huh? Pretty much. Except I think there’s more to it than that. I’d like to think that in life, timing is everything. It has the ability to transform bad times into incredible opportunities. 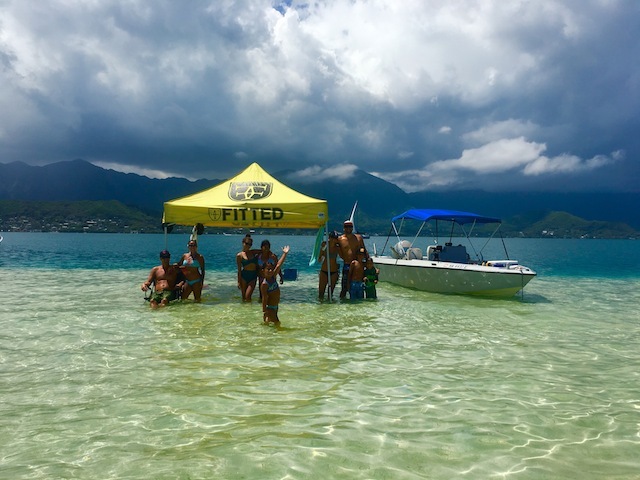 As I was starting my inflight training at Hawaiian, I took a leave of absence from my current job at the Aliʻi Kai Catamaran, where I had worked for six years. Then, midway through training, due to Coast Guard issues, the boat shut down and laid off all of its employees, as you may have seen in the news. Thankfully, most of my coworkers had secondary jobs and were only working there part-time, except for me. How crazy was it that I got hired when I did?! Like I said, timing is everything. Now, as I look back to a year ago, I realize what a blessing it’s been to have landed this job. I have just started my career here and have already been to such amazing places as New York, Sydney, Brisbane, Tokyo, and Beijing. Working at Hawaiian has also allowed me to be a frequent visitor to one of my most favorite places, Disneyland. I can only imagine what amazing adventures and destinations my future holds. 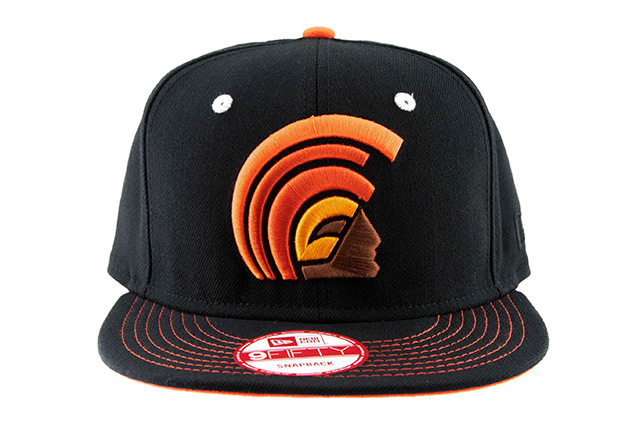 I’ve dubbed this hat “Kaulele” which means “to take flight,” referencing the start of an incredible journey at my new job. 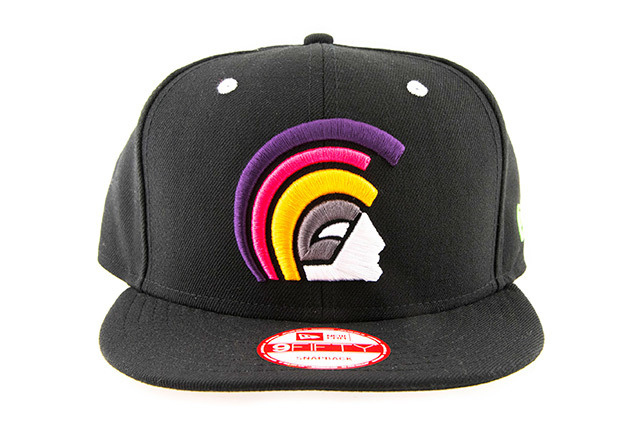 Starting with a black base, the Mua consists of purple, pink, orange, grey, and white—inspired by the Hawaiian Airlines logo. 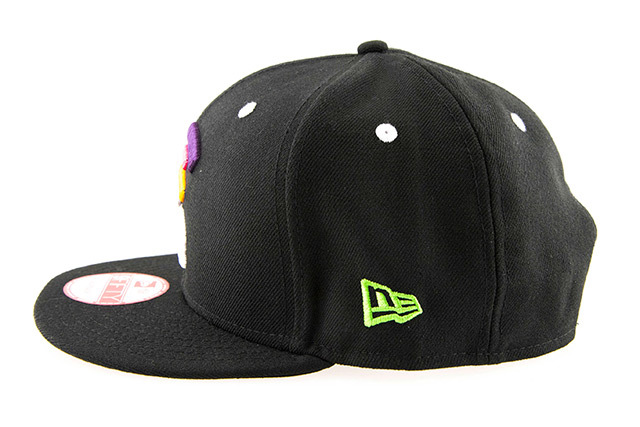 The lime green side New Era logo, pink back crest, and white eyelets take inspiration from the famed Pualani snapback that previously released directly through Hawaiian Airlines. 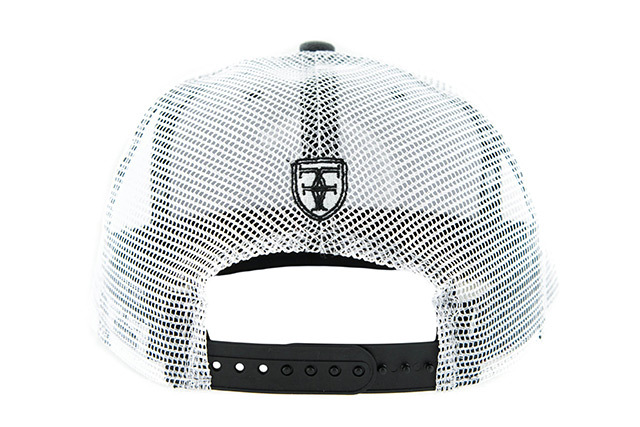 A white snap enclosure around back finishes off the look. 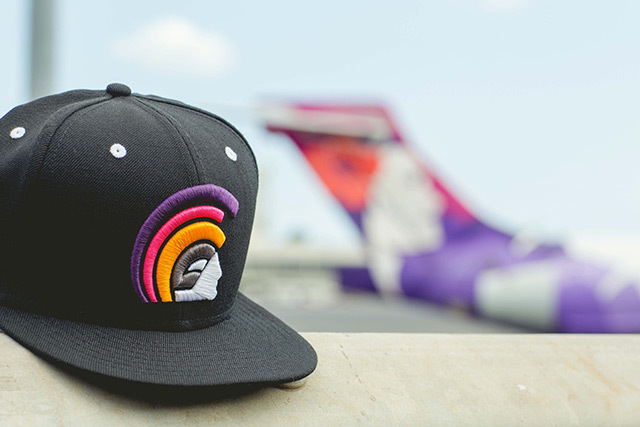 It’s also quite fitting that my hats drop on March 5th and 8th, because it marks the dates that I was invited to become a flight attendant at Hawaiian. Like I said, timing is everything. 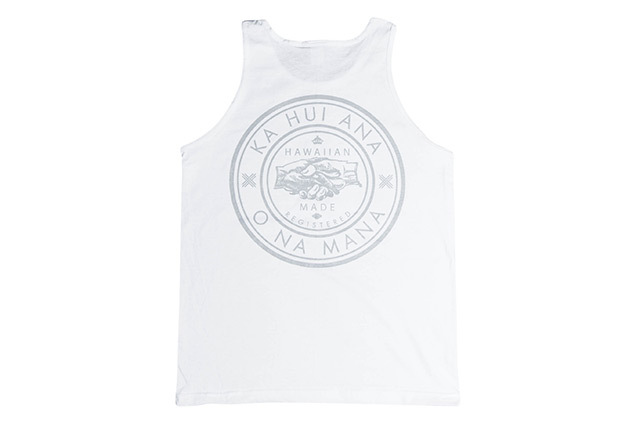 Releasing alongside the Kaulele Mua is our new Greetings tee and tank top, both in heather grey. 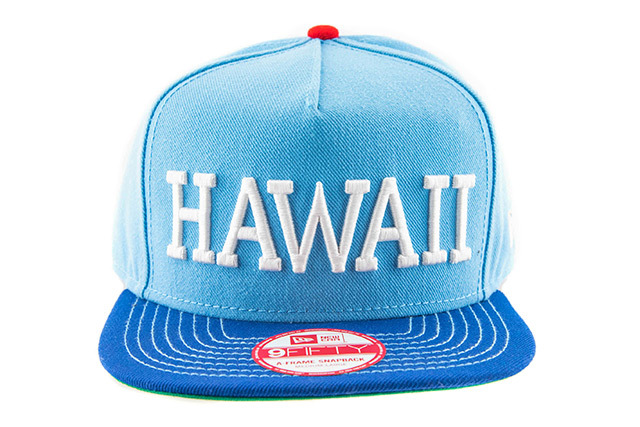 The design is based on the idyllic Hawaiian postcard, flipping it on its end. It features a scene from the movie “North Shore” as the postcard photo, with the words “Greetings from the North Shore” written on it. This is a tongue-in-cheek play on the “greeting” Rick receives from the local boys who regulate the breaks up north in the movie. 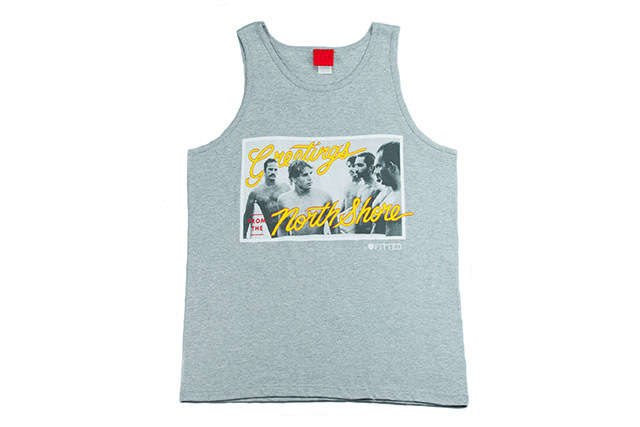 In real life, the pride and respect on the north shore is second to none, and it’s all about earning your keep. 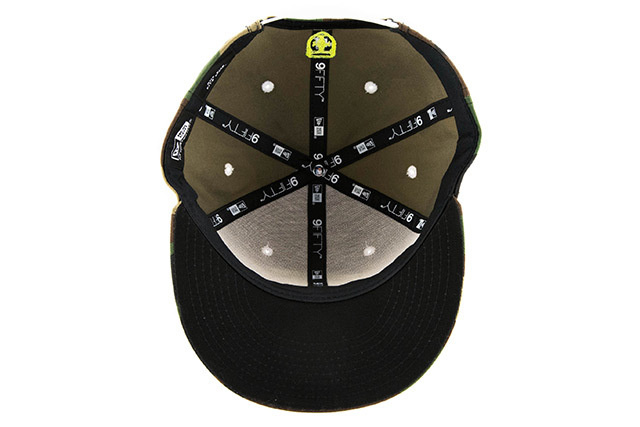 The back features a crown seal and “Bumbai you learn,” reminding everyone that both respect and knowledge come in due time.